Over the years, I have been slowly building my party menu repertoire, dishes that never get old and are sure to be a hit with my guests. Bonus if they’re easy to make. 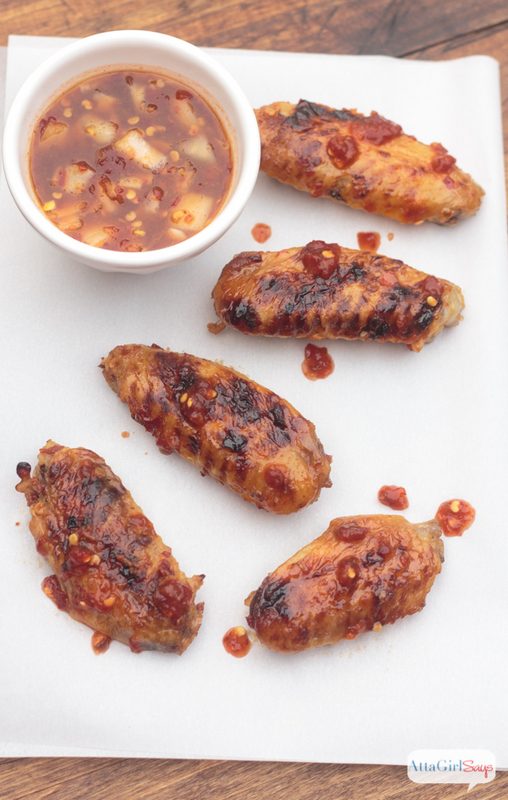 These sweet and spicy chicken wings are both — delicious and deliciously simply to make, with little hands-on time. These are everything you want wings to be — spicy and messy with chicken that is is fall-off-the-bone tender. And the dipping sauce is amazing. 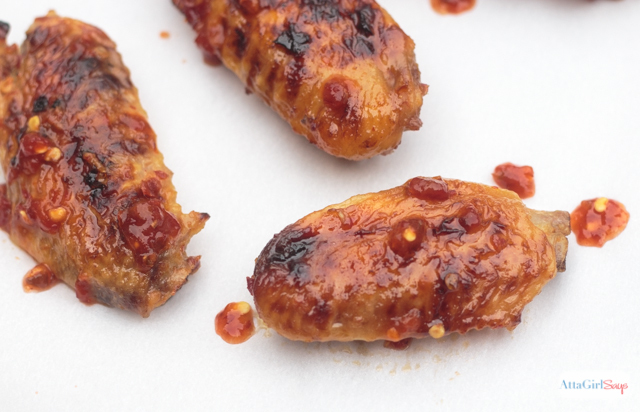 You won’t miss ranch or blue cheese once you taste this Chinese sweet and spicy sauce. It has a kick, but finishes sweet thanks to the addition of pure maple syrup. 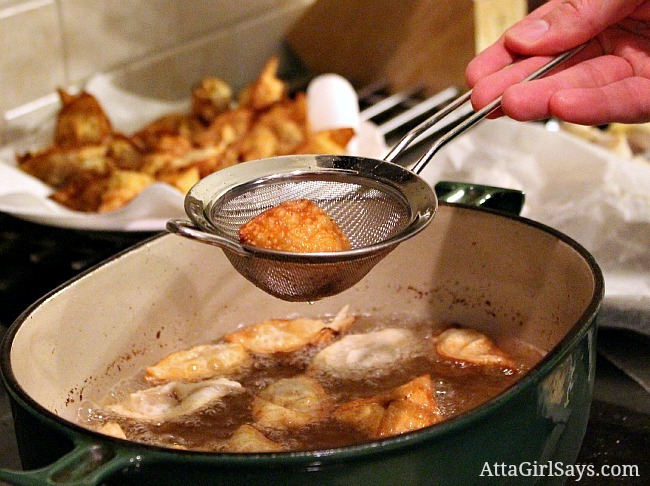 For best results, you’ll want to marinate the wings overnight. Then, the next day, give them a quick pass under the broiler, just long enough to brown and crisp up the skin. Then, toss them into a slow cooker for several hours while you prep for your party. 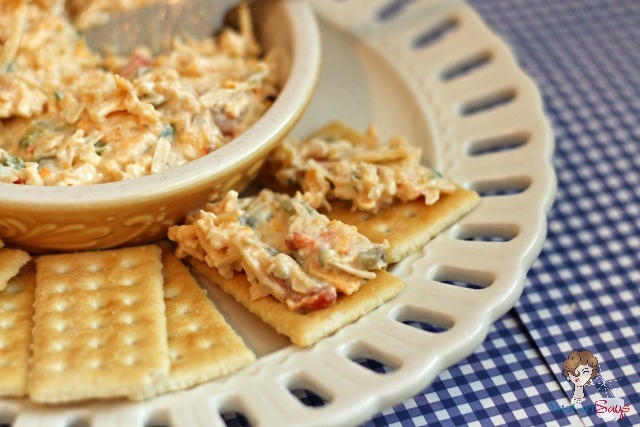 Looking for a party recipe that you'll make again and again? 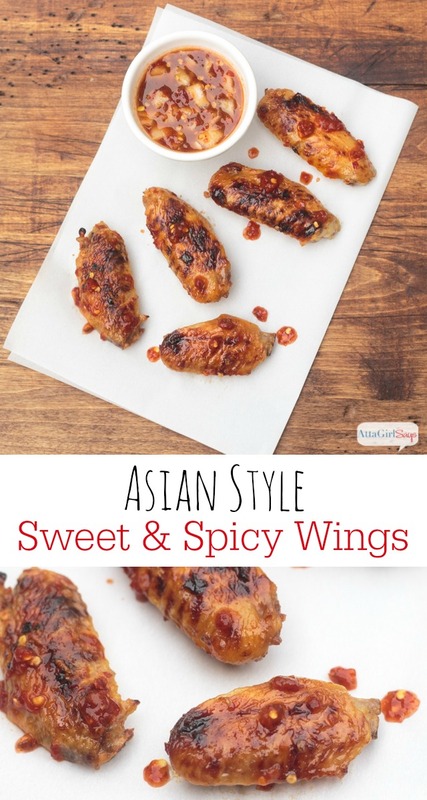 These Asian style sweet and spicy chicken wings are always a hit. Perfect for the Super Bowl or any kind of bash. And they're easy to make. Just marinate, broil and toss in the slow cooker. If necessary, cut off wing tips and discard and cut wings in half at the joint. Combine syrup, chili garlic sauce, diced onion, mustard and Worcestershire sauce in a small bowl. Reserve ¾ cup marinade. Store in the refrigerator until ready to serve. Pour the rest of the marinade into a large zippered bag and add the chicken. Seal bag and toss to coat. Marinate in the refrigerator overnight, or at least 8 hours, turning bag occasionally. 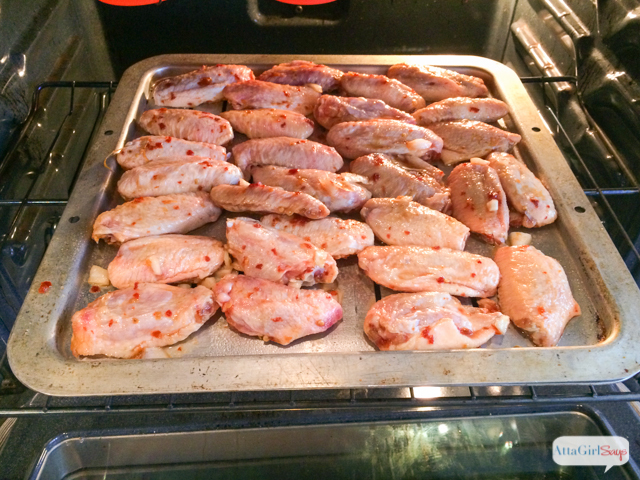 Place wings, skin side up, on a lightly greased broiler pan. Broil, on high, until skin is browned, about 5-10 minutes. 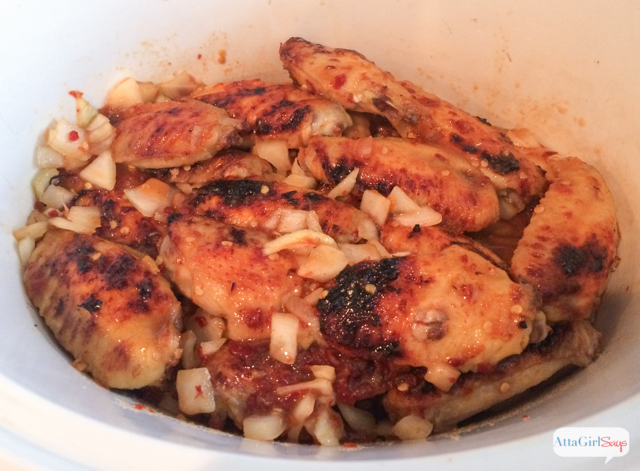 Place wings in a large slow cooker, cover with marinade from the bag and cook on low for 4 hours. Serve with celery sticks and reserved marinade. Here are some other favorites to add to your party menu. These look yummy. I just won a slow cooker and will have to give these a try. These sound delicious! Love the sweet and spicy combo! Thank you so much for linking these up with Mouthwatering Mondays! These look so good! Thank you for sharing on Show Me Saturday! Pinning! These look delicious. 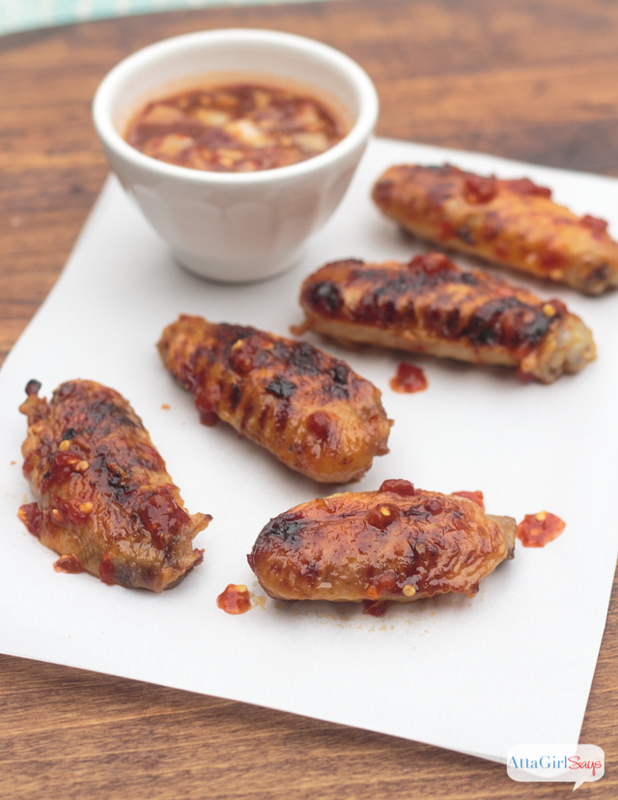 We love wings and like to try different recipes using them. 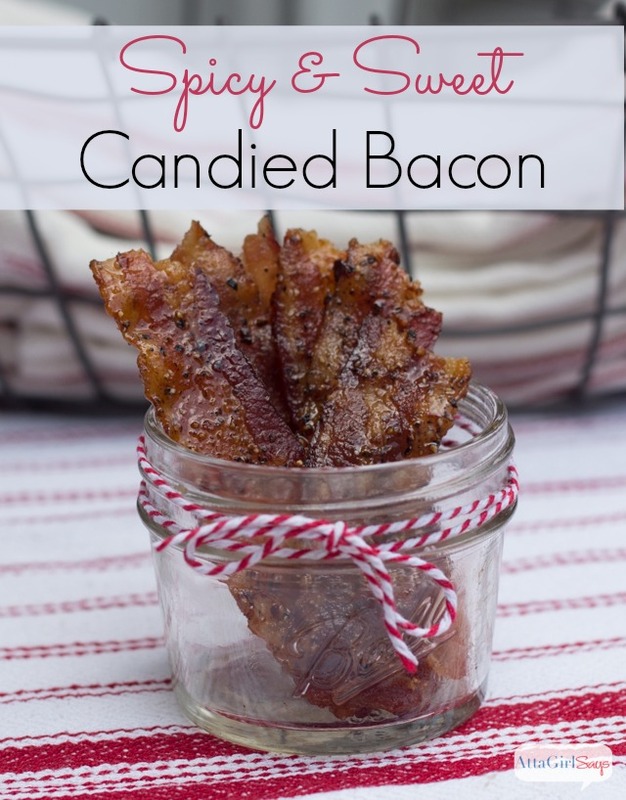 This recipe will be on my short list! Thanks for sharing this at the This Is How We Roll Thursday Link Party! Can’t wait to see what you bring to the next party!